Nasolabial folds are the lines from the nose to the corner of the mouth shown in the image below. As we age we lose volume in the cheeks and this allows the cheeks to sag and emphasise the appearance of the nasolabial folds. There are two main ways in which nasolabial folds can be treated. If nasolabial folds have formed due to sagging of the cheeks then adding volume to the cheek area with dermal filler can lift the cheeks and soften the nasolabial folds. This is normally a better option in patients aged 40 and over. Have a look yourself in the mirror – do your nasolabial folds reduce in appearnce by lifting the cheeks? If so then cheek filler may be a good option. The second way of treating nasolabial folds is to place small amounts of dermal filler directly into the fold. This is often a better option in patients under 40 where loss of cheek volume is less of a problem. This technique has been used in the patient below who is in his mid 30s. How much dermal filler do I need to treat nasolabial folds? We generally use 1.0ml dermal filler to treat nasolabial folds. If we are treating nasolabial folds by replacing cheek volume then we may use 1.0ml – 2.0ml + to treat cheek volume to provide the lift needed to reduce the lines. The video below shows Bianca Quon from Cityskin explaining how to treat nasolabial folds with dermal filler. We can use numbing gel prior to treatment but as a general rule nasolabial fold dermal filler is one of the least painful areas to have treated. We use very small needles to inject the area. How likely am I to bruise? As a general rule there is minimal bruising risk when treating nasolabial folds. You could have the treatment and easily go to work the next day. Higher bruising risk areas are lips, tear trough and marionette lines. 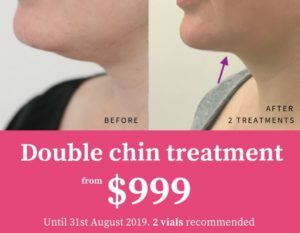 How much does nasolabial fold dermal filler treatment cost? Have a read of our cost page to find out more about all treatment prices. The video below shows Dr Brown discussing the approximate cost of treating nasolabial folds. Skip the video forward to 1 min 5 secs for the section on nasolabial folds.